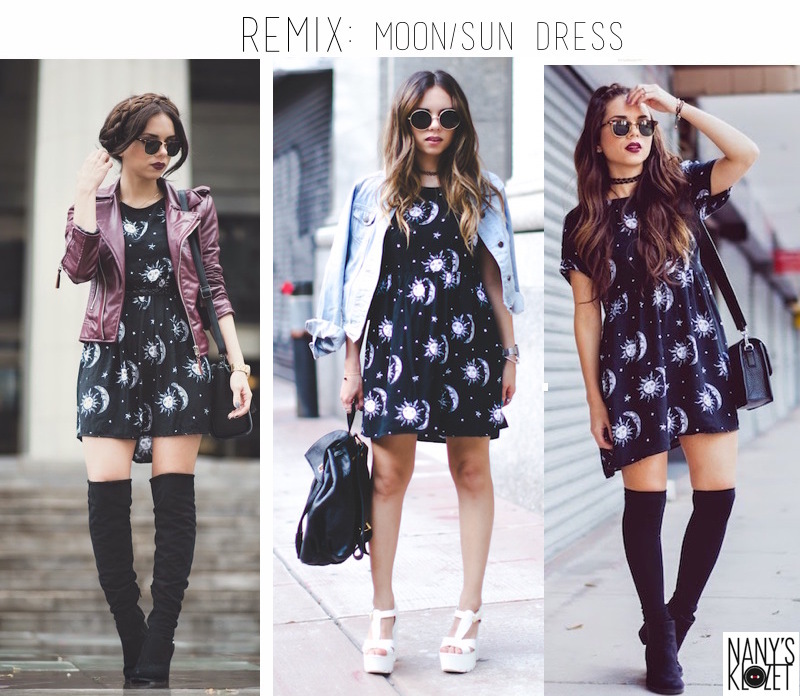 Here's the REMIX I promised with the moon/sun dress. This looks makes me go a little edgier. Because of the babydoll shape, I love how it looks with high high socks or boots. On the first look I put a belt on it to make it more A-shaped. It's great with jackets...either jean or leather...but you tell me..
¡Aquí les traigo el REMIX que les prometí el LUNES! Como pueden ver, con este vestido mi estilo es un poco más edgy. Como es sueltito, me parece que va perfecto con medias/botas a la rodilla. También va perfecto con chaquetas..así sean de jean o de cuero. Y aparentemente también he experimentado con peinados y extensiones al usar este vestido. ¡¡Cuéntame que look es tu favorito!! Beautiful dress! I love first look! I　love the middle one ! Beautiful ! Love the look. #3 is my favorite but must say #1 is much more New York ..
que bello ese vestido! el 1 y 2 mis favoritos!